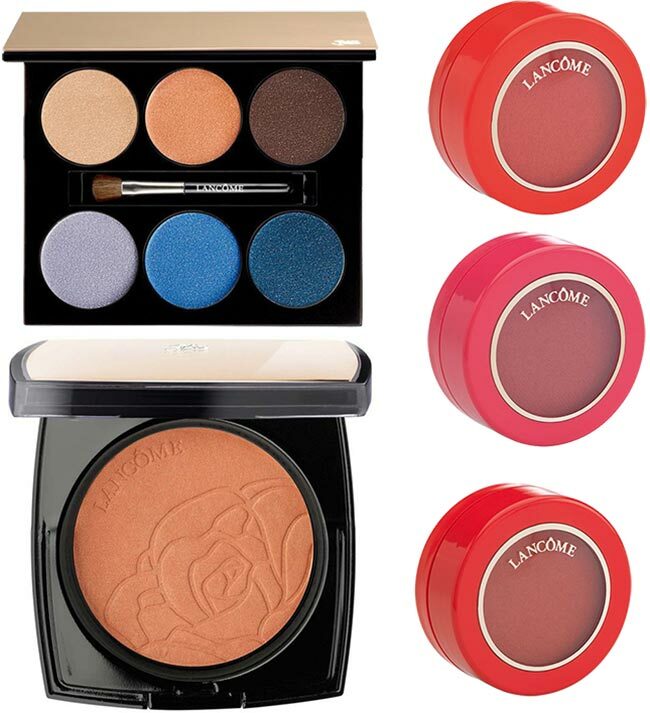 The Lancome French Paradise summer 2015 makeup collection is inspired from the French Riviera, its beautiful blue sea and sky, and the golden beaches. The French Paradise is reflected in the collection through a range of mesmerizing colors, embodying the azure of the sea and the golden shades of the sand. Bright splashes of orange, red and pink come to liven up the mood, and, of course, there are also vibrant nail polish shades to jazz up your fingertips. Timeless earth and blue colors make harmonious pairs with the pops of corals, creating the perfect image of the goddess living the beautiful life in the French Riviera. You’ll be able to get your hands on these amazing products starting with April of 2015, when the collection will hit the international beauty counters. Summer is all about the flawless bronzed skin and if you want to get ready for the sunny season, this is the ultimate product you need. The brand’s iconic flower is embossed in this powder bronzer, making it even more flattering to our eyes. Of course, this gorgeous eyeshadow palette is the star of the entire Lancome French Paradise summer 2015 makeup collection, featuring six complementary shades ranging from the tones of blue to the timeless hues of earth brown. All the six colors come embedded with a metallic glow and the palette also includes a small brush for the easy application. Perfectly in line with the eyeshadow colors, these three eyeliners are must-have pieces for adding depth and definition to your sultry eye makeup looks. No eye makeup is perfect without mascara applied to enhance the length of the eyelashes. 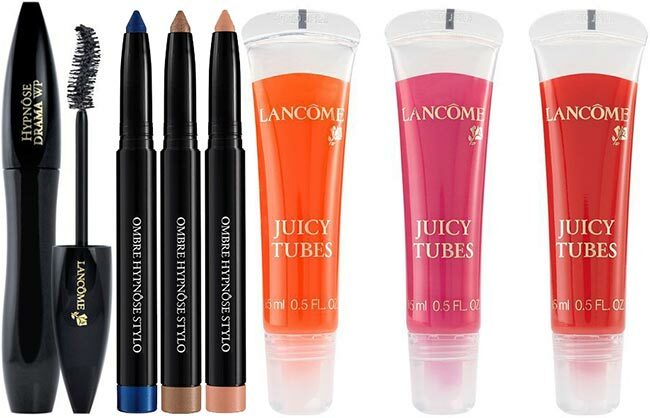 Lancome knows this well and presents this revolutionary waterproof mascara using a curvy wand that will pamper your lashes making them look undeniably full and flirty. When it comes down to the lips, don’t shy away from colors and add a bright tint of red, orange or coral to your pout for the irresistibly kissable effect. In addition, Lancome brings three complementary shades of lip-glosses that you can match with your lipstick or wear alone on the naked lips. We love having perfectly groomed nails and even if you don’t have time for an intricate nail art, applying a few coats of a simple nail lacquer is enough to make a statement. 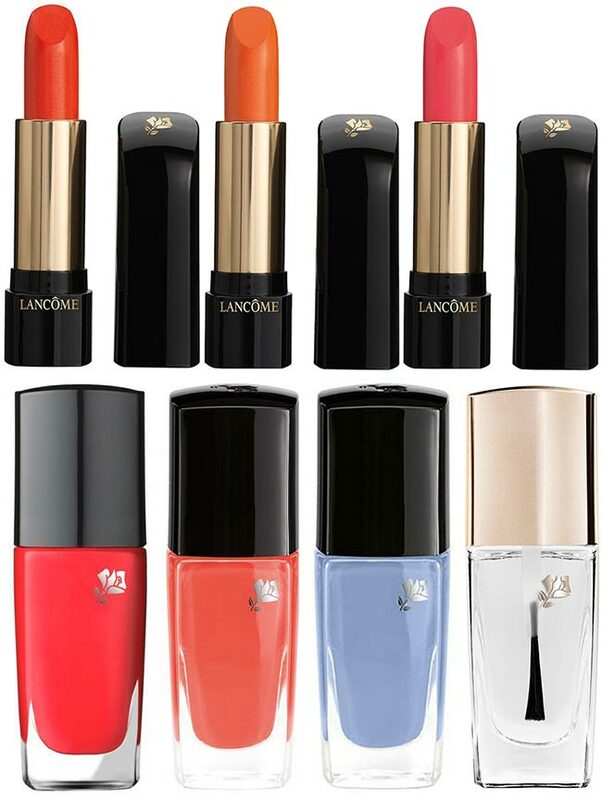 Lancome has three summer-ready hues for the nails, as well as a transparent top coat that will ensure the chip-free look of your manicure for a longer period of time. Colourpop To Launch Affordable Skin Care Brand "Fourth Ray"